Android triangle (arrow) defined as an XML shape | Looks OK! nice work, but what will be the benefit of it using over png? Thanks for you post its great! Can you please provide some explanation about it ? I am afraid that layer list is noy capable of placing items different but the default one. I don’t really understand how the pivotX and pivotY work. Did you? Can you explain them? Pivot X/Y are the X / Y coordinate of the center of rotation. Expressed either: in pixels relative to the object’s left edge (such as “5”), in percentage relative to the object’s left edge (such as “5%”), or in percentage relative to the parent container’s left edge (such as “5%p”). That means, you got your pivot value by trying? Right? This is nice, but I’d like to make an equilateral triangle with rounded edges. I’m afraid it’s just not possible in XML. Why didn’t Android give us a triangle? how to i place this triangle in center position in an layout xml file .I can use the android:gravity function it is not work?? I love the solution you posted. I am perfectly happy with a right angle for the triangle, I just want it to be in the center of a long rectangular view instead of a square shaped view. I think if I go this route I will have to create a square shaped view around the triangle and center that view inside the long rectangular view. Thanks again for the post. It was great to have a first hand example of how rotations and pivot points work. This doesn’t appear to work for me. 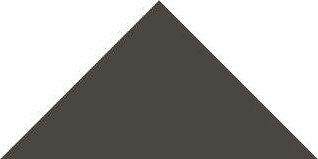 The triangle renders pointing to the bottom right, and setting the rotation of the container that has it as a background only gives me a half a rectangle. It seems like you can’t rotate the triangle by any degrees other than multiples of 90 without some visual bug? What’s weird is that when I use your example, the arrow points diagonally instead of up, so I can’t even have it point in a horizontal or vertical direction. It’s always pointing towards a corner, and each 90 degree turn points to a different corner. What causes this? how can you make the arrow point to the right? I’m new to xml shapes so I don’t get it very well. Thank you! How to make it bigger ? How would we add a shadow behind the shape? Thanks! But i want to change the solid color dynamically. How can i do this ? Nicely done ! I have tried doing this and it works for me. However, the boundaries of the triangle is still rectangular. Is there a code for a triangular boundaries? Thank you ! Well… I don’t think so. Is there any way in Android to place views with boundaries different than rectangular? How can i rotate it right or left?